Fybogel Sachets provide natural relief from constipation; the high-fibre granules dissolve quickly in water for a tasty drink. 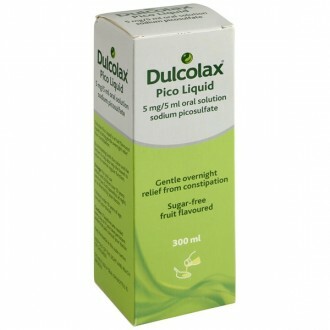 This sugar- and gluten-free treatment contains natural ispaghula husk fibre, which helps maintain regularity. Regulating bowel movements and making stool easier to pass. Maintaining normal bowel function in people with an ileostomy or colostomy, chronic diarrhoea due to diverticular disease, ulcerative colitis or irritable bowel syndrome. A natural, high fibre drink that gently relieves constipation and maintains regularity, Fybogel Sachets contain ispaghula husk, a natural fibre helpful in the treatment of constipation. With increased fibre in your diet, the digestive system becomes more efficient and can better maintain regularity. Iipaghula husk is a bulk-forming laxative. A type of fibre, it swells when it comes into contact with fluid in the gut and increases faecal volume. The increased mass in the bowel stimulates muscles in the walls of the intestines to push the contents along, which helps relieve constipation. Digestive improvement can take up to three days. Each sachet should be stirred into a glass (150 ml) of water and drunk as soon as the fizzing subsides. The medication works best when taken after meals. Do not take it shortly before going to bed. 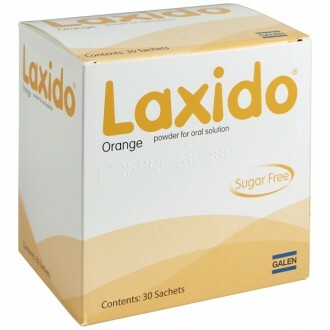 Adults and children 12 years and over should take a dose in the morning and evening, after breakfast and evening meals. Children 6 to 12 should take half to one level 5ml spoonful of granules dissolved in a glass of water after breakfast and evening meals. Children under 6 should only be given this medicine under a doctor’s supervision. Their dose should be half to one level 5ml spoonful of granules, depending on size and age, dissolved in a glass of water after breakfast and evening meals. Consult your doctor if, after three days of treatment, there is no bowel movement. 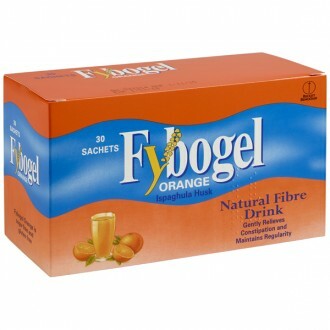 Fybogel is a tasty, sugar- and gluten-free drink that comes in a convenient sachet form and dissolves quickly in water. 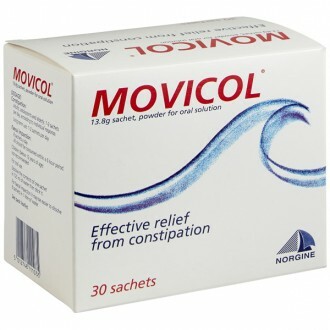 Fybogel treats constipation and softens stools. 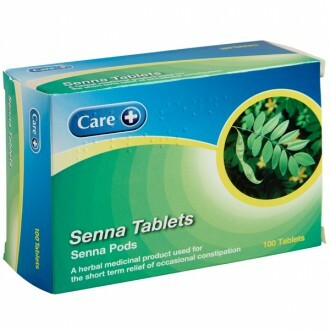 It naturally stimulates the bowel and is safe for pregnant and breast-feeding women. Fybogel can take up to three days to show an effect. Drinking plenty of fluids, regular exercise and a diet rich in vegetables and fibre are simple lifestyle changes that help with constipation. Lack of dietary fibre is one of the main causes of bowel irregularity, Fybogel Sachets can help combat this and relieve discomfort. Contains no chemical stimulants. 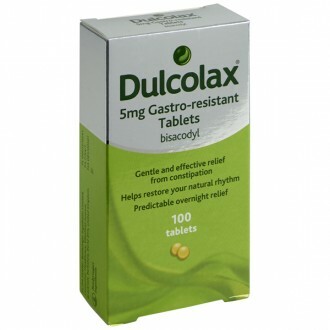 Take 1 sachet in the morning, and another 1 sachet in the evening, or as has been prescribed by your doctor. Depending on age and size, take a half teaspoon to one 5ml level spoonful, morning and evening. Consult your doctor if after 3 days of treatment, there is no bowel movement. 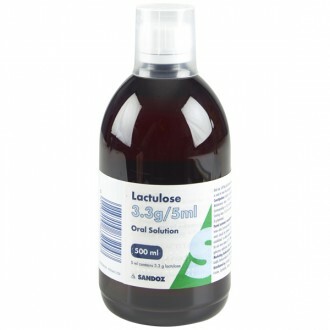 Pour in the required amount of the sachet in a glass with about 150ml of cold water. Mix well and drink immediately, if possible after meals. You might experience bloating or flatulence during the first few days of treatment because of the increased intake of fibre in your diet. This may lessen as you continue taking the treatment. If these symptoms are worrying you, then reduce the daily amount to 1 sachet a day. 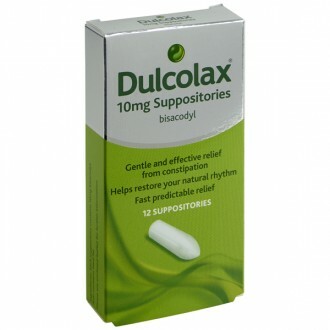 Consult your pharmacist or doctor if symptoms persist or if you experience other symptoms after taking this product. Avoid taking this product without water. In case you accidentally take more than recommended, drink plenty of water. Avoid taking more than the recommended dosage. Avoid using this product after the expiry date indicated on the pack. The active ingredient contained in Fybogel is 3.5g Ispaghula Husk per sachet. Aspartame and saccharin sodium sweeteners, potassium bicarbonate, sodium bicarbonate, polysorbate 80, silica colloidal anhydrous, citric acid and riboflavin sodium phosphate colouring. If you are allergic to the ingredients or if you are suffering from bowel blockage or muscle weakness of the bowel wall, avoid taking Fybogel. This product is sweetened with aspartame containing a source of phenylalanine that can be harmful to individuals with phenylketonuria. You should therefore avoid taking Fybogel, if you have phenylketonuria. Need to know more about Constipation?